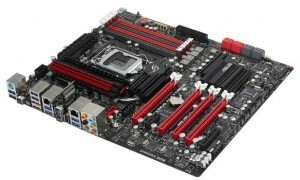 *GRG Tip – Be sure to purchase your 1155 motherboard from a reputable company. Look for the Rev 3.0 or B3 revision stick on the box. You can take additional caution by checking the bios once you receive it in the mail. VRM and FGI Digital Power Design for increased System Stability. Real-time power management allows for increased energy savings. 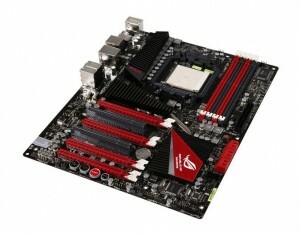 *See our “gaming motherboards” section for a complete list and review of all of our gaming motherboards. 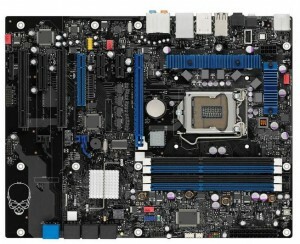 For more information on what Gigabyte AM3 motherboards are Bulldozer ready, Gigabyte has a “AM3+ ready” description on many of their 8 series motherboards. We’re featuring the Crosshair IV AMD 890FX because it’s “Game First” or in other words the intuitive interface prioritizes packets for gaming and because this particular motherboard is known for its unparalleled overclocking ability. It supports up to 16 GB Ram DDR3 – 2000(O.C. )/ 1800(O.C. )/ 1600(O.C. )/ 1333/ 1066, USB 3.0, and Sata 6Gb/s. Like the Extreme model above it comes with a 3 year warranty as well. The 1366 socket motherboards were designed specifically for higher-end users seeking top of the line performance and specifications. In 2011, the i7-950 gave gamers everywhere the right mix between price and performance. With the i7-950 CPU coming down in price 1366 motherboards are still very popular despite the release of new 32nm microarchitecture in the 2600k CPU. 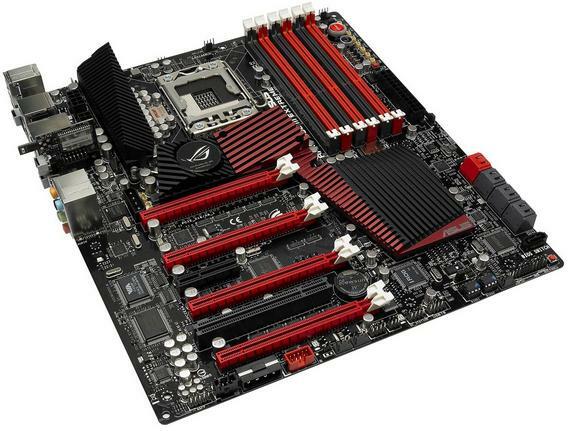 If you’ve got a decent 1156 CPU and just need a new motherboard, then consider upgrading to the Intel DP55KG Extreme Series. We like the DP55KG because with the Intel Desktop Control center you can easily control and tune your processor, memory, and bus speed for speed and reliability. You can also see the temperature of your rig and control your fan speeds right from your fingertips. The DP55KG Extreme also supports multiple Graphics Processing Units for extreme users want to use SLI or Crossfire. You can also load it up with up to 16 GB of Ram and the DP55KG supports 600 MHz, 1333 MHz, and 1066 MHz variants of DDR3 memory for flexibility with existing ram. One of the features we are most excited about is the 10-channel Dolby 7.1 audio system which gives you high quality audio without having to worry about getting a pricey sound card.